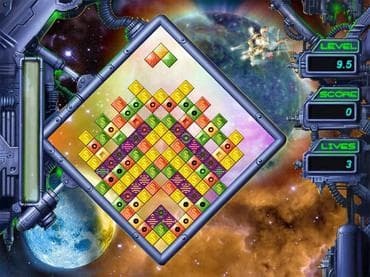 Rhombis combines ideas from several classic games at once. An original, but still simple gameplay, realistic physics and a lot of power-ups - all that is in store for you. The aim of the game is to collect all dollar diamonds on the playing field, but you will have to solve these brain teasers differently at each level. Rhombis features 16 stages consisting of 80 challenging levels and 3 difficulty modes, which will ensure hours of addictive fun for you! Download free full version game today and test your puzzle skills! Free Game Features: - Unlimited Play; - 80 Challenging Levels; - Beautiful Graphics; - Unique power-ups; - Addictive Gameplay. If you have questions about Rhombis game, please contact us using this form.